Chivas Brothers, has announced the launch of a new non-age stated expression from its Aberlour Distillery, which is said to provide whisky lovers with the ideal introduction to sherry cask matured whiskies. Aberlour Casg Annamh (48% ABV) has been matured in a combination of Oloroso sherry casks and two types of American oak barrels. Aberlour Casg Annamh, which takes its name from the Gaelic for ‘Rare Cask’, has been created in small batches from a limited number of carefully selected casks, which were hand selected by Aberlour’s Master Distiller, Graeme Cruickshank. This latest release from the Speyside based distillery, is said to deliver notes of tangy orange, glazed cherries, raisins and hints of ginger on the nose, followed by notes of apple, cinnamon crumble, ripe peaches, liquorice and cloves on the palate. 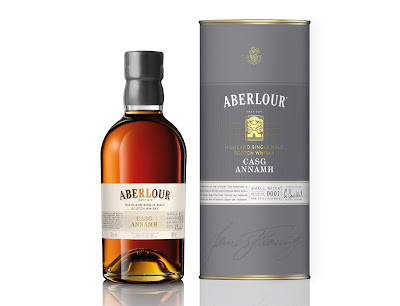 Aberlour Casg Annamh, will be available later this month from specialist retailers, for a RRP of $70.00.